SEOUL (Reuters) -- General Motors' South Korean unit tentatively reached an annual wage deal with its labor union today, averting a major strike at one of its key Asian production bases, a union spokesman told Reuters. The management and union said they had agreed on the tentative deal, which includes a basic monthly salary increase of 83,000 won ($71.17), a bonus of 4 million won and a one-off payment of 6.5 million won. "Both (parties) expressed a commitment to reaching a fair and reasonable agreement based on mutual trust and understanding," the company said in a statement, confirming the tentative wage agreement. According to the union spokesman, GM Korea has agreed to make next-generation Chevrolet Malibu sedans on the second production line at its Bupyeong plant. That would end speculation that the firm planned to integrate the first and second production lines, reducing the plant's scale, the union spokesman said. In South Korea, which accounts for nearly one-fifth of GM's global output, GM labor costs have risen nearly 50 percent over five years. 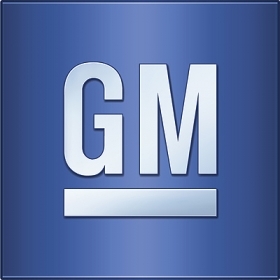 The deal is subject to a vote by GM South Korea workers, with the voting date to be decided at a meeting on Tuesday, the union spokesman said.